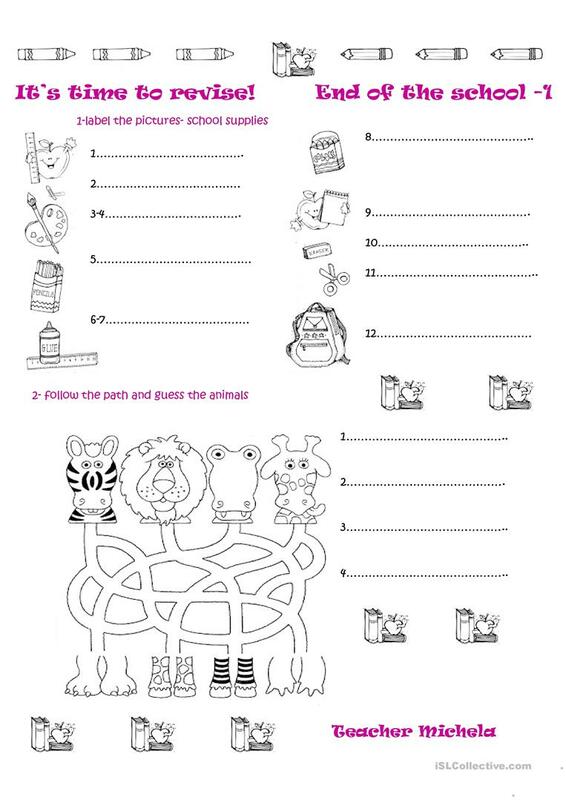 A worksheet to revise language about school supplies and animals, I hope it can be useful! This downloadable worksheet is meant for elementary school students and students with special educational needs, learning difficulties, e.g. dyslexia at Elementary (A1) level. It is a valuable material for improving your learners' Reading and Writing skills. It is focused on the vocabulary topic of Classroom.